A photo book that I'm currently working on, showing scenes from the Kansai region in Japan through the year. The photos were taken over a period of about three years. There are 4 photos for each month, making a total of 48 photos. Will keep you posted on the progress of the book. Note the watermark will not appear in the book or on prints, gifts or digital stock purchased. 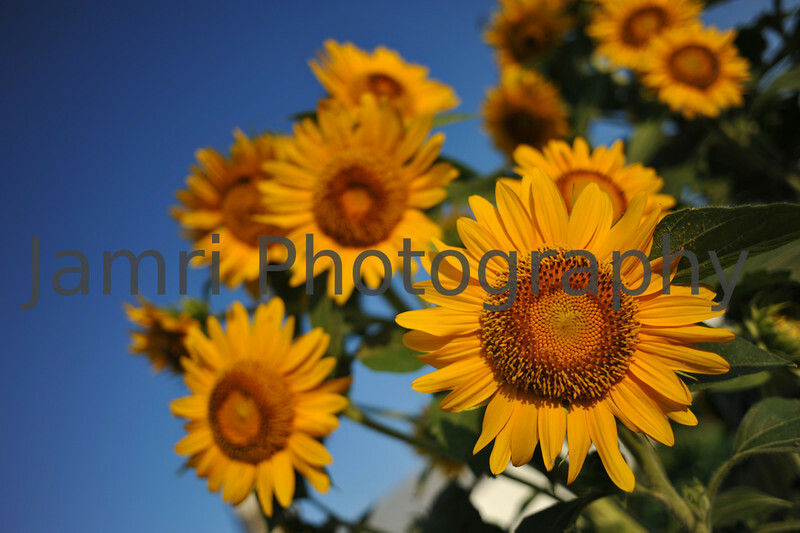 July - Sunflowers against a blue sky. After rainy season is over we enter the hottest, yet thankfully a less humid part of summer. The sunflowers begin to bloom.